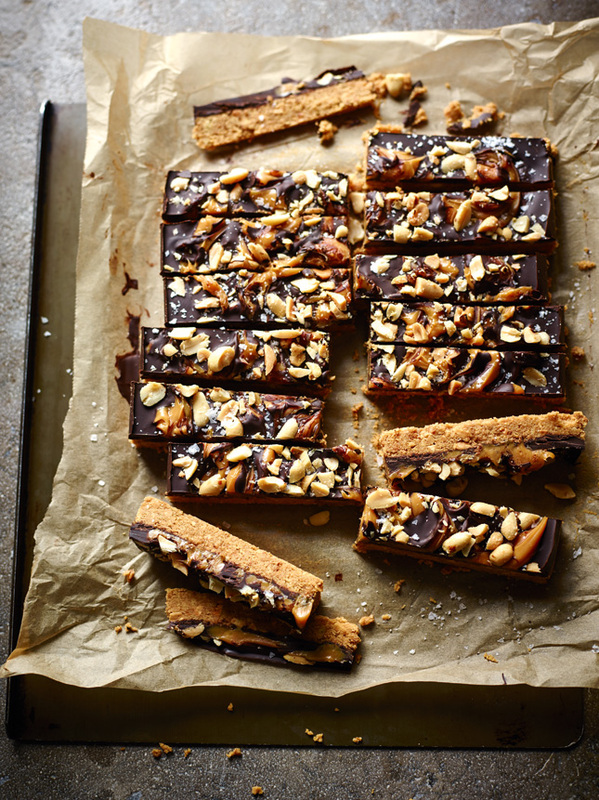 Rachel Allen's Home Baking is out now, and we've got this gorgeous recipe for Salted Caramel Peanut Bars from it to give you a taste of what's to come in her latest home baking cookbook. The lovely biscuity peanut base is topped with a thick layer of chocolate studded with peanuts and sprinkled with sea salt, which ties it all together. Add the melted butter and the peanut butter to the crushed biscuits and blend with the food processor, or mix with an electric beater, until they come together. Scrape down the sides of the food processor or bowl and mix again for a few Tip the mixture into the prepared tin and smooth it out using the back of the spoon. Put in the fridge for 30 minutes to chill. Melt the chocolate in a heatproof bowl over a pan of gently simmering water, making sure the base of the bowl doesn’t touch the water, and stirring regularly for a glossy Pour the melted chocolate over the biscuit base in the tin. Use a teaspoon to spoon the caramel over the chocolate topping in blobs, then scatter with the salted peanu Using a knife, or the handle of a teaspoon, swirl the mixture well to create a ripple effect, then scatter with a pinch of sea salt flakes. Return the mixture to the fridge for 30 minutes to chill and set, then lift it out of the tin and cut into 18 bars to serve. If you are unable to buy tinned caramel, you can buy condensed milk and boil it in the tin, unopened, in a saucepan of water for 3 hours. Make sure that you leave it to cool in the tin before opening. I often boil a few at a time and keep them for another time, as they will keep for a year, or even more! With over 140 easy-to-follow recipes, Home Baking caters to your every home baking need or whim. Rachel's recipes always work. Her legions of fans know that they are in safe hands with her. And nowhere is it more important than with baking. Here, in this gorgeous new book, she combines simple yet brilliant techniques with delicious flavours. 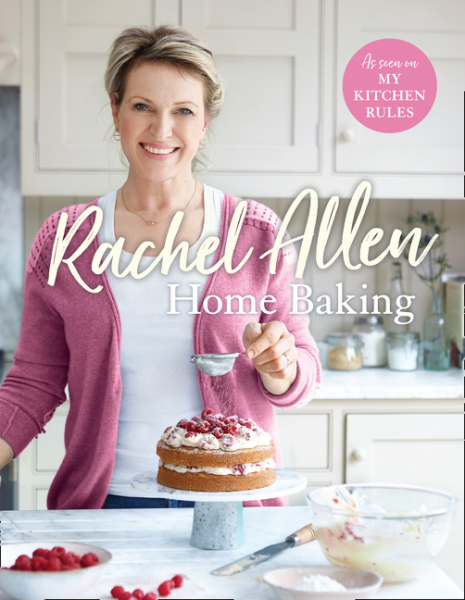 Home Baking is now available to buy here. You might also like: The best chocolate biscuit cake you'll ever make!